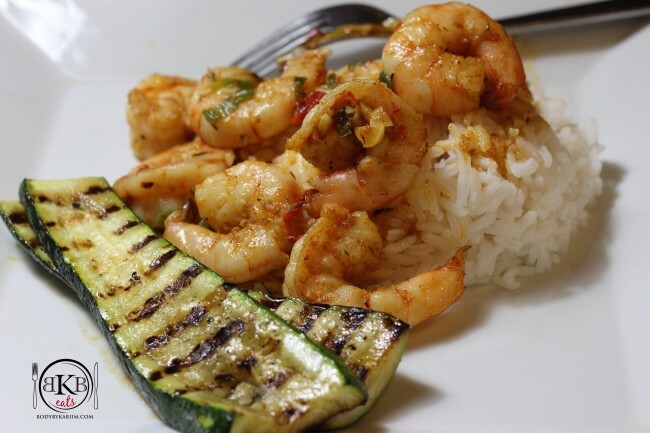 Kariim tried a new spin on our shrimp using a traditional Indian spice- Tandoori. It turned out pretty good! Paired with jasmine rice & I helped by adding the grilled zucchini. Simple, Satisfying, & Protein Packed! NOTE: Quick Meal!! We made it home from work at 8:12pm tonight….. We were eating by 8:50pm. The rice was already prepped. This recipe was just enough for 2 servings. If cooking for more than 2 people, please adjust. Left-overs make great MEAL PREP for the next day:) so if you make too much, it’s okay. Refrigerate & use as meal prep for lunch or another dinner. In a small pot, add 2 cups of water and bring to boil. Once water is boiling add 1 cup jasmine rice. **When you add the rice, the water will stop boiling. Allow the water to begin boiling again. Cut the zucchini the long way into somewhat thicker pieces and lightly coat with olive oil. Turn grill pan on High Heat. Once pan is HOTT, add zucchini. Grill zucchini to your liking—- If you like them crunchy- take off sooner. Like them soft, leave on longer. Once done, remove from grill pan. If not already done, Peel & devein shrimp. Turn sautéing pan on to Med- High heat add a tablespoon of olive oil. Add the garlic, scallions, and habanero chili to the pan. Add tandoori, thyme, and sea salt to the pan. Once pan is HOT, add shrimp. Cook until shrimp turns pink. Plate rice and top with shrimp. Place the zucchini on the side. Enjoy! 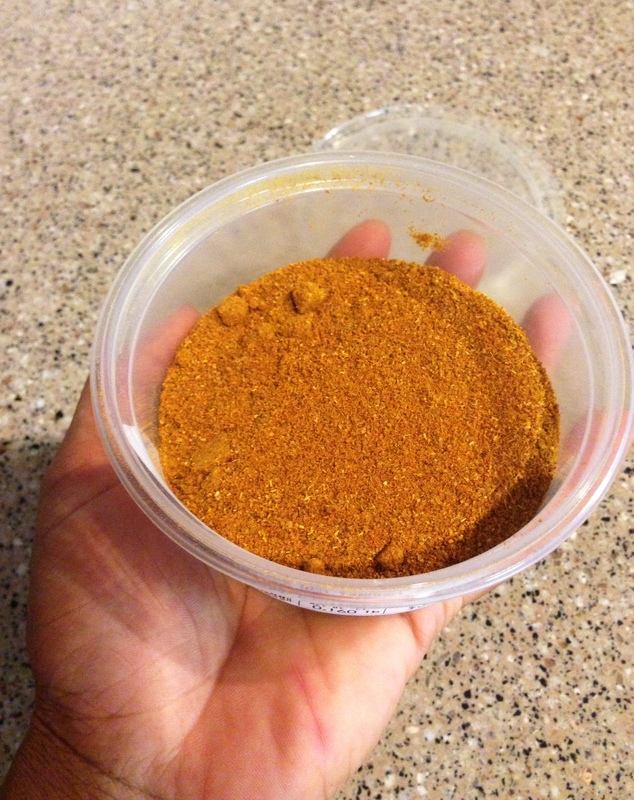 Where to find: We found this seasoning at the Dekalb Farmers Market, in Georgia. Please visit your local grocery or Farmers Market with a wide variety of herbs & spices. Oh my gosh! This is delicious….I made it this evening (prepped brown rice on Sunday). I will be repeating this recipe. Although I forgot the scallion at the grocery, the other ingredients made it taste wonderful!! How is it different from say, Uncle Ben’s. I have issues with carbs but I love rice.